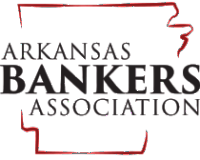 Congratulations to the Arkansas Bankers Association on its 125th Anniversary, April 2016! In celebration of this milestone, the association published a retrospective magazine, incl. excerpts from an original 1966 article by Bessie B. Moore. She discusses the importance of economic education and the vital responsibility of bankers to help eradicate economic illiteracy. "More than any other businessmen, bankers probably recognize the need for economic education." Arkansas bankers have been generous and loyal supporters of Economics Arkansas since its inception. We are grateful for the long-time support and advocacy. Thank you.